We travel the world in search of great green coffee. At home, we focus on bringing out the inherent best. We believe in supplying you with the tools, knowledge, and resources needed to help your business succeed. Whether you are a brand new business looking for advice and assistance, or a well-established enterprise looking to enhance and update, we are here to support you with over thirty years of combined experience and knowledge. Our exceptional coffee is sourced directly from exceptional farmers. Throughout the year, we maintain personal, working relationships with the farmers and craftsmen who grow and process our coffee. 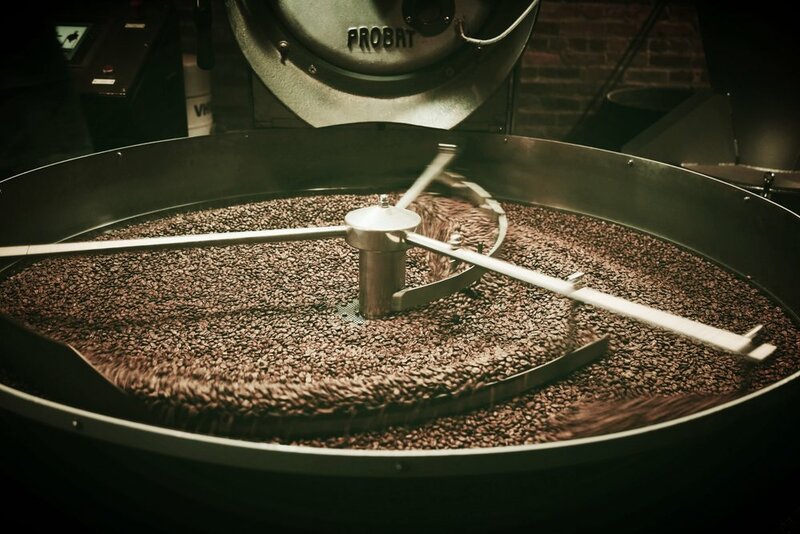 To highlight their craft, we roast, careful to bring out the most positive attributes in each bean. We boast a rotating seasonal espresso blend, in addition to numerous single origin offerings. Each coffee exhibits its own unique profile among our varied and versatile range of offerings. They appeal to any customer, from the daily cup o' joe drinker to the coffee enthusiast. We will work with you to tailor our offerings for your specific menu, and help you choose the perfect coffees for your taste. We are excited to provide on­-site training for any new or existing employees. Our training staff has over a decade of extensive knowledge and experience with all manner of coffee preparation. We can provide expert espresso, latte art, and brew training. We offer an extensive and engaging coffee curriculum, covering everything from history, to science and theory - including basic palate training and cupping. We are ready and able to adapt the course to fit your particular needs and expectations. We are a licensed retailer of a full range of brewing, grinding, and espresso equipment. We are more than happy to discuss and advise you on the best set-up for your particular operation. In addition, we are available to service any equipment you might have in the event of a malfunction.